Safe Surfer Desktop is an Electron based app, which sets the Safe Surfer DNS settings for you (on a device, not network). SafeSurfer-Desktop is available as an AppImage which means "one app = one file", which you can download and run on your Linux system while you don't need a package manager and nothing gets changed in your system. Awesome! If you want to restrict what SafeSurfer-Desktop can do on your system, you can run the AppImage in a sandbox like Firejail. This is entirely optional and currently needs to be configured by the user. 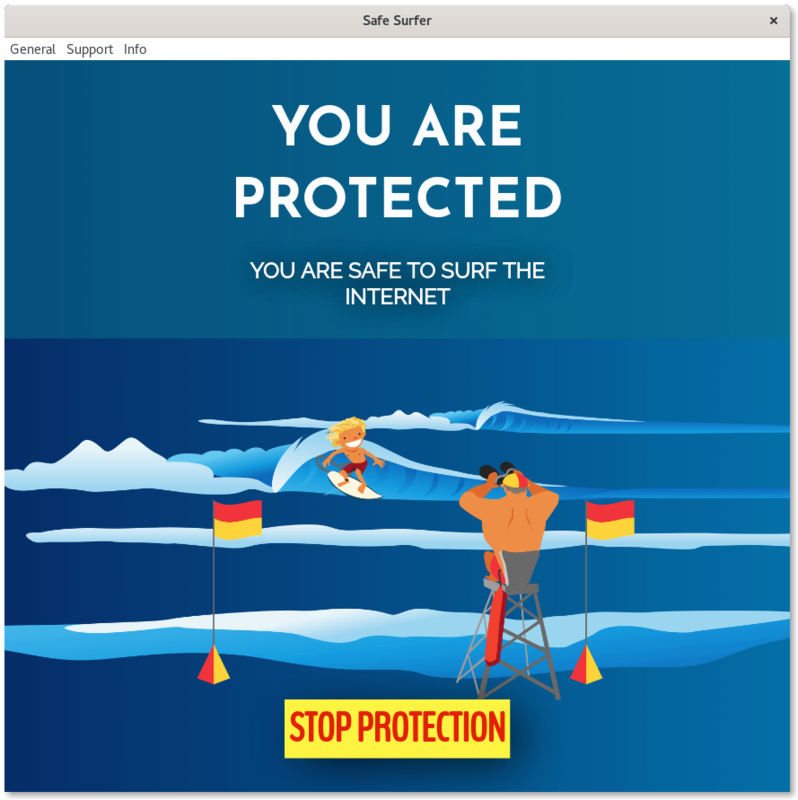 If you would like to update to a new version, simply download the new SafeSurfer-Desktop AppImage. If you would like to have the executable bit set automatically, and would like to see SafeSurfer-Desktop and other AppImages integrated into the system (menus, icons, file type associations, etc. ), then you may want to check the optional appimaged daemon. Thanks for distributing SafeSurfer-Desktop in the AppImage format for all common Linux distributions. Great! Here are some ideas on how to make it even better. Please consider to add update information to the SafeSurfer-Desktop AppImage and ship a .zsync file so that it can be updated using AppImageUpdate. Tools like appimagetool and linuxdeployqt can do this for you easily. Thanks for shipping AppStream metainfo inside your AppImage. Please open a pull request on https://github.com/AppImage/appimage.github.io/blob/master/data/SafeSurfer-Desktop if you have changed it and would like to see this page updated accordingly.